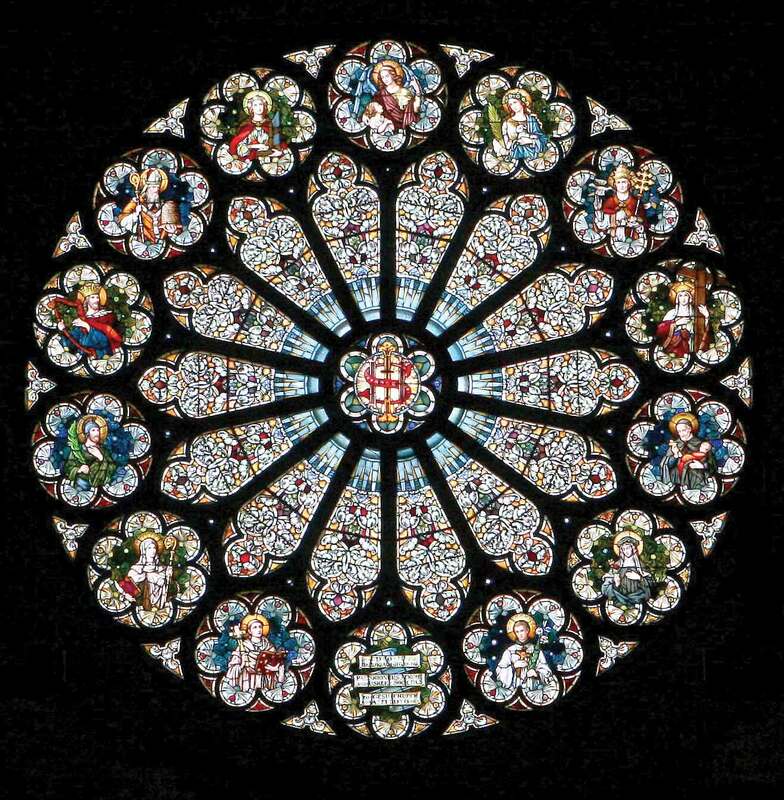 The rose window was created at the Royal Bavarian Art Institute in Munich Germany, by renowned glass artist, Franz Zettler. 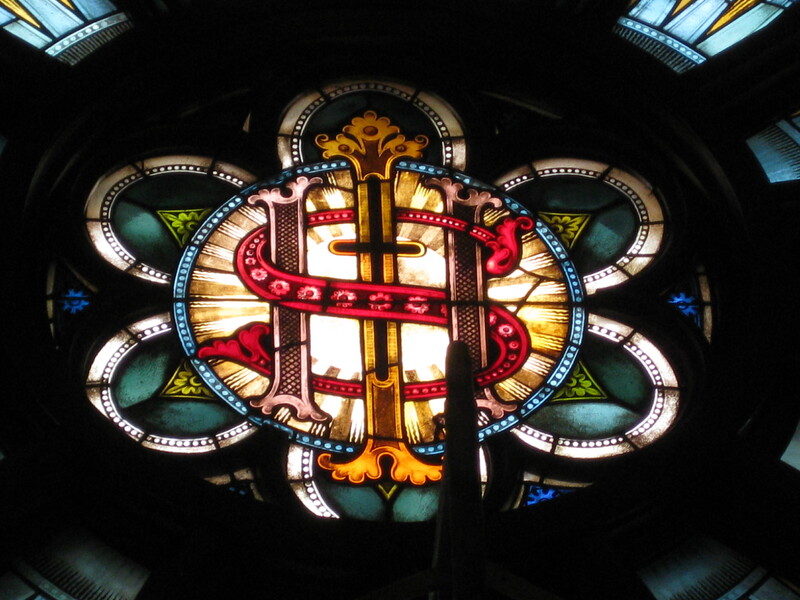 This magnificent window measures 28 feet in diameter. 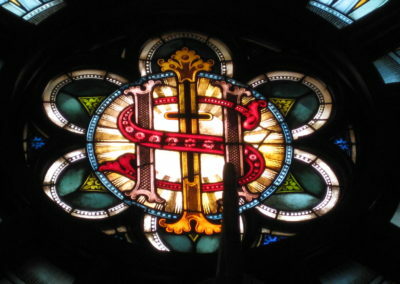 Fourteen saints comprise the outside border of the window, encircling a central panel, depicting the seal of the Society of Jesus. This beautiful window, installed in the early twentieth century, had suffered from the effects of age; with numerous cracked pieces of glass, deteriorated lead came and damaged framing. Phasing the conservation of the window was meticulously planned in conjunction with the restoration of the church’s monumental organ, which, when removed, permitted op en access to the window. The rose window was documented, removed and transported to the Studio. The panels were carefully dismantled and each piece of glass was cleaned as the deteriorated lead was removed. Cracked pieces of glass were seamlessly repaired and the panels were glazed, cemented and reinforcement bars were applied. The panels were reinstalled into the restored wood frame and are preserved for future generations of the community of the Church of the Gesu.